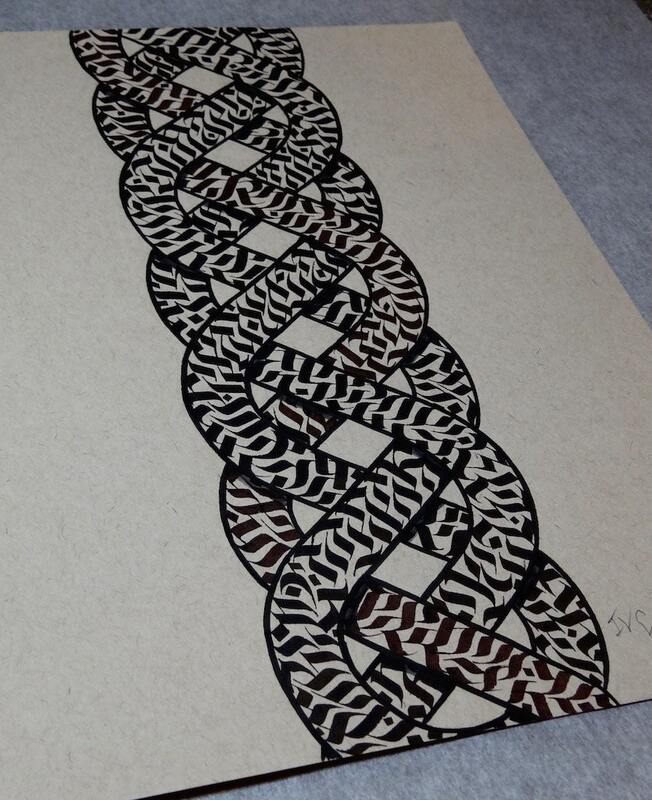 This original calligraphy art is titled 'Spiral Knot'. 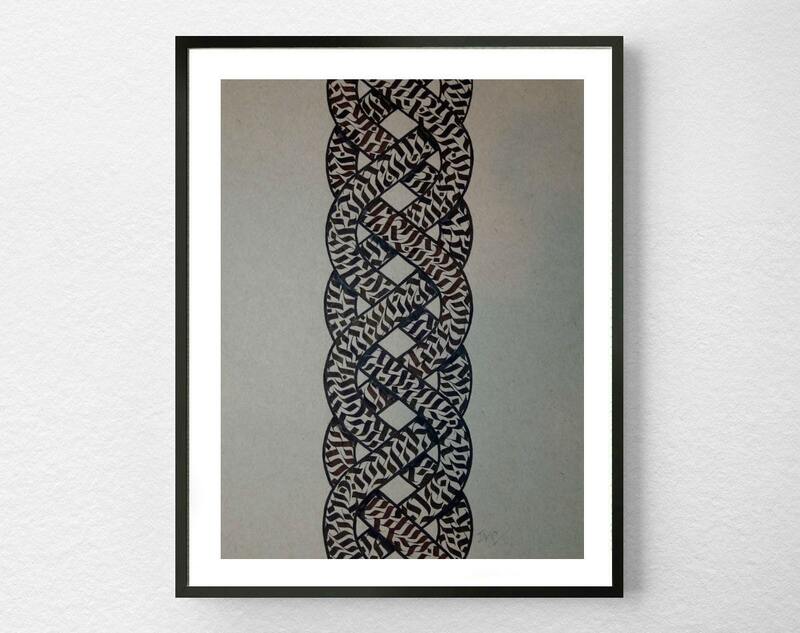 It is a unique, one of a kind, hand drawn piece that would look beautiful in any room in your home. 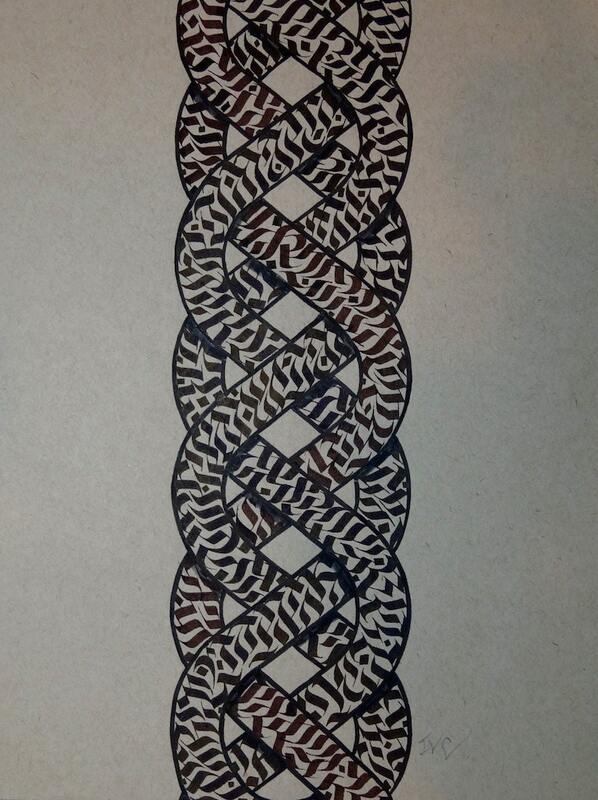 Calligraphy flourishes that resemble an ancient script are arranged in strands that weave together, creating a slight 3D effect. 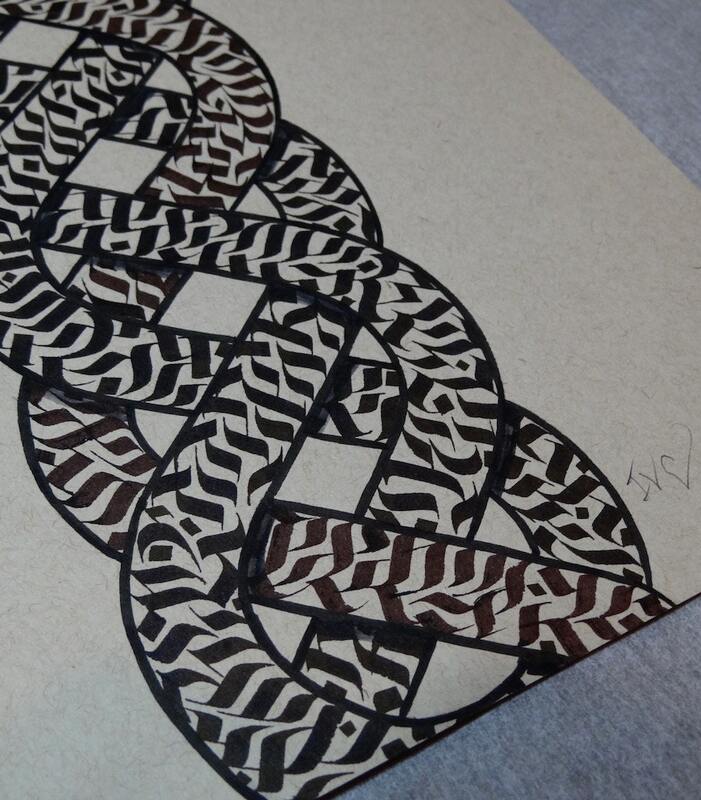 This 'Spiral Knot' was drawn using black ink on paper.